This post is super delayed. Sorry, been awfully busy. 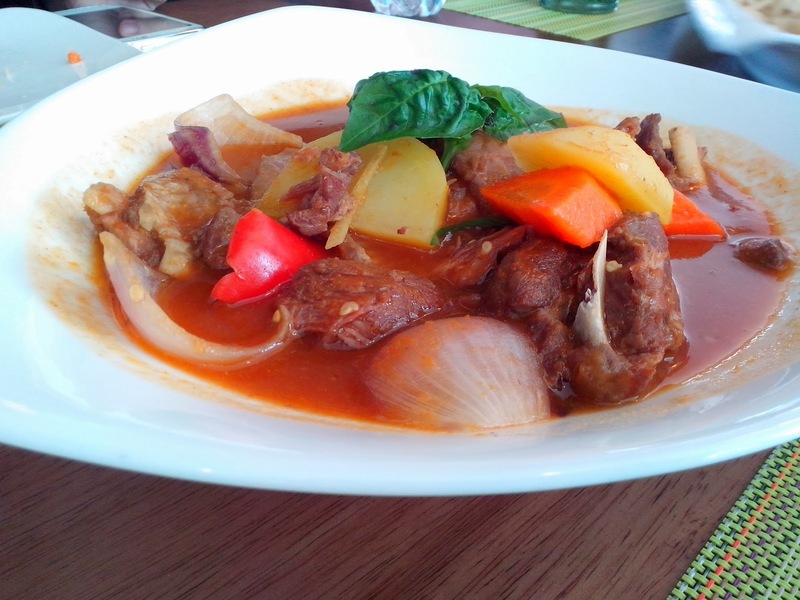 Flavors By Tanny restaurant offers local and international dishes, with its executive chef’s own interpretations. Using only fresh produce from the owner's farm, you can expect nothing less than fresh. 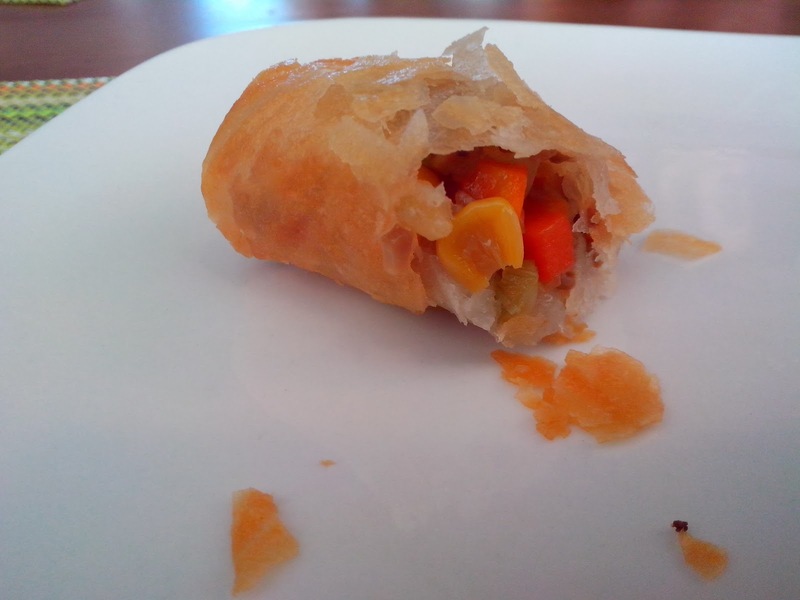 Spring Roll - Awesome mix of vegetables: corn, carrots and celery. It's unbelievably vegetarian which is the exact opposite of how it tastes like. A serving costs Php110. 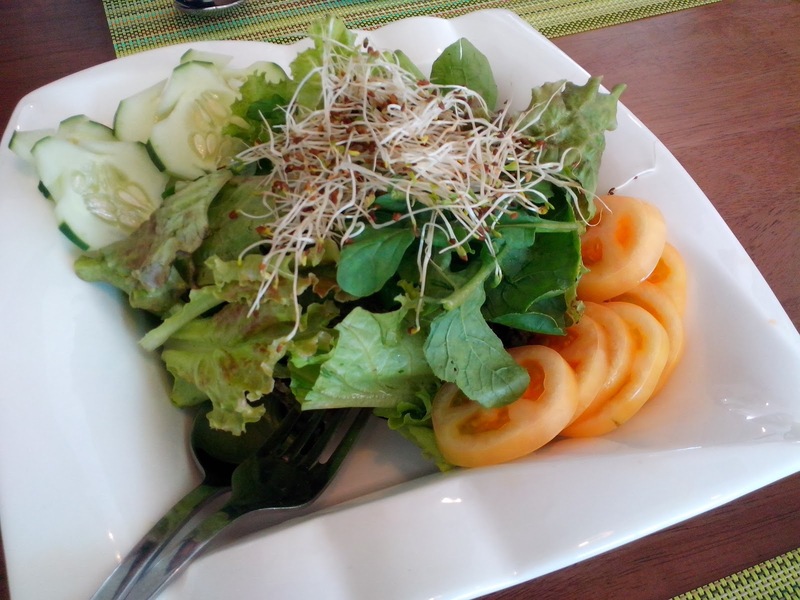 Tanny's Organic Salad - A serving costs Php180. Made with the freshest produce: tomato, lettuce, alfalfa, crunchy arugula with one of my latest favorite salad dressing: Spicy Cod Roe on Balsamic Reduction. 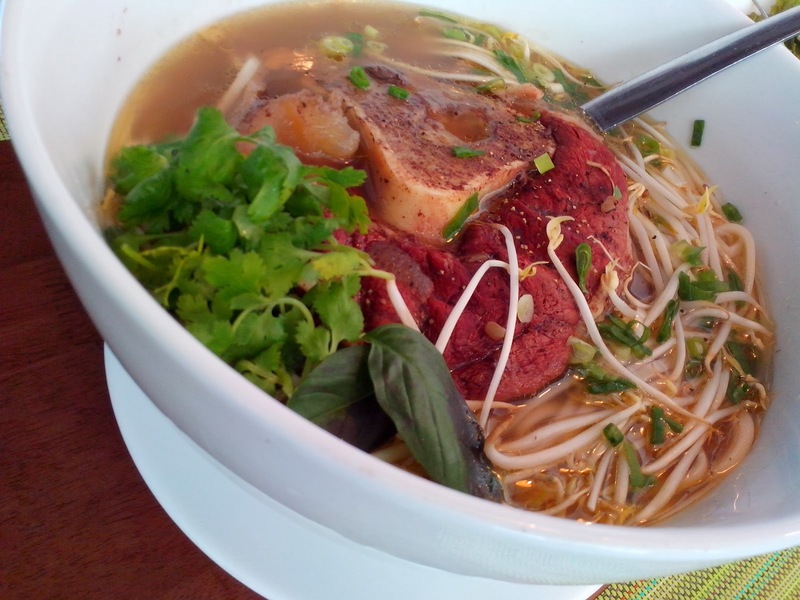 "Pho" Chero - Beef shank or pochero with Vietnamese rice noodles softly falls off the bone beef with alfalfa. A great play on texture, crunchy with soft meat and hot soup. 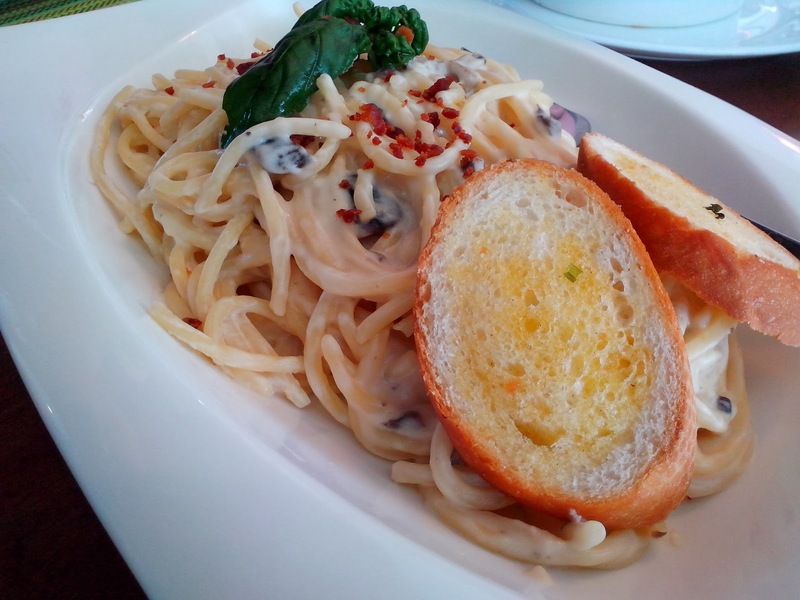 Truffle Carbonara - Serves 2 people at only Php220. It was really good because the pasta was cooked just right. Mushroom sauce with bacon bits and of course fresh basil leaves. The toast made just right with the subtle taste of garlic. 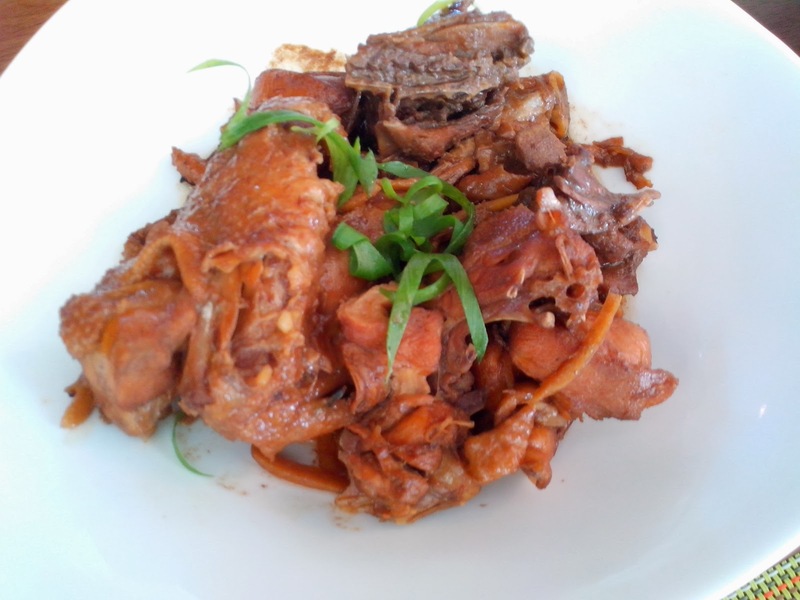 Kaldereta - Tender and flavorful meat cuts cooked slow and oh so good. I could not stop actually. It was that good. I had to stop myself from having second round of rice. Chichaprawn - Sold at only Php190 for 6 pieces. 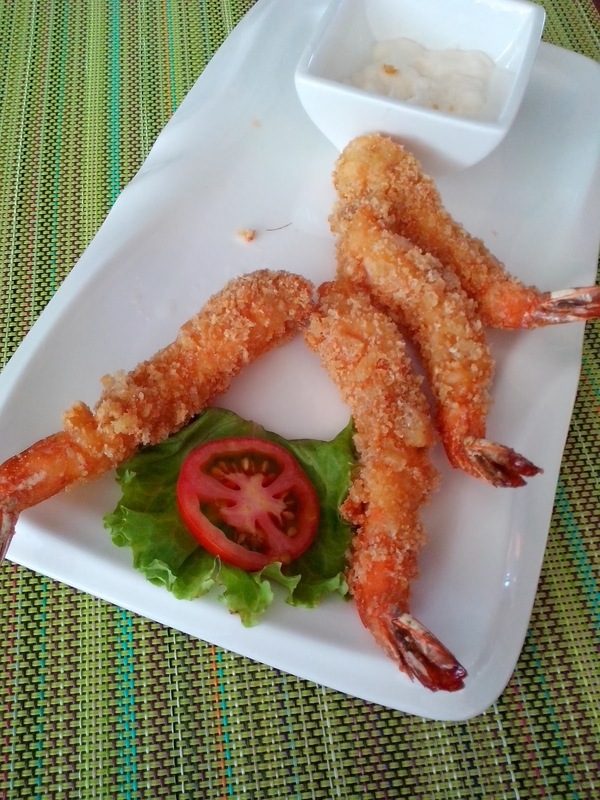 Prawns breaded with not your usual breadcrumbs as they use the best idea EVER - CHICHARON! Yes, pork rinds! WHAAAAAT?! Yes! I had the same exact reaction! And finally, the Steak. Steak with a side of mashed potatoes and buttered corn and carrots. 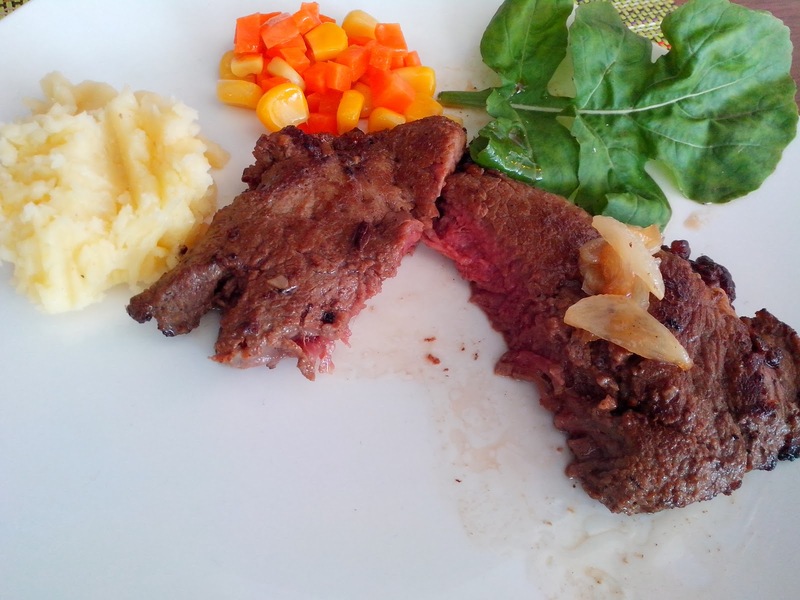 USDA tenderloin that feeds about 3-4 people at Php990. Best if medium rare, meat that melts in your tongue. The mash was heavenly, creamy, smooth and buttery. Every dish is carefully created by the chef and owner himself, Stan Tanchan. A wonderful place to spend time with the family. Cozy, upscale and an affordable family dining experience.